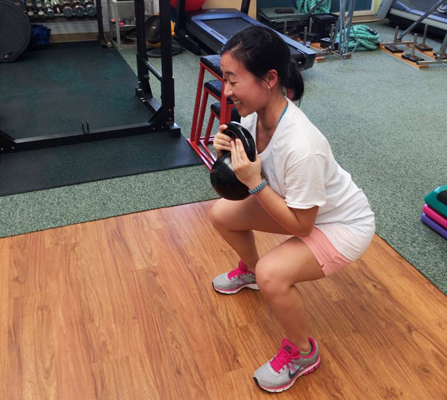 Whether it be upon completion of physical therapy treatments, or a limitation in prescribed visits, patients have the option to continue their exercise program by joining F&L's Performance Plus Program (PPP). Enrollment is NOT limited to existing patients. The PPP is designed to offer advanced supervised training to individuals who need to address specific goals (personal, functional, work-related, recreational activities, etc.). Fukuji & Lum’s team of highly trained professionals will create a well-rounded program based on the individual's needs while monitoring their progression through detailed functional assessments. Individuals who enroll in this program are able to address specific goals that will maintain and/or improve strength and function and increase overall cardiovascular health. All sessions are under the supervision of the therapist and support staff. The number of sessions per month are determined by the enrollment plan the individual signs up for. Please call 234-5353 for more information. This program allows individuals to maintain and/or improve their strength, flexibility and function while performing exercises in the water. All sessions consists of one hour of pool use and are under the supervision of the therapist and support staff. Individuals pay a monthly fee which varies depending on the frequency of visits per month. Please call 235-5398 for more information.